The New York Yankees will start another offseason earlier than expected. After a 4-3 loss last night to their rival Boston Red Sox, the Yankees dropped the American League Division Series (ALDS) three games to one. The Yankees won 100 games for the first time since 2009, and won their second consecutive Wild Card Game. It's difficult to call this season a dissapointment when these are the facts, but the question remains. How much did this team underachieve? The team is close to being a championship club. However, close just isn't good enough. This team had a glaring weakness since April, and it was the starting rotation. This series against the Red Sox saw the Yankees yield one quality start in four games. To simply put it, that just will not do in the playoffs. Especially when you face a team that won 108 games in the regular season. Pitching is always the key in the playoffs, yet hitting was the Yankees bread and butter. Being outscored 20-4 at home is not exactly a recipe for success. Living by the homerun and dying by the homerun is an exciting but dangerous offensive strategy. As the Yankees just saw, you need to steal, you need to bunt and hit behind runners. There's still a need to hit a fly ball with a runner on third and less than two outs, and it also helps to hit for the cycle in a playoff game. It'll be curious to see what the Yankees do this offseason. 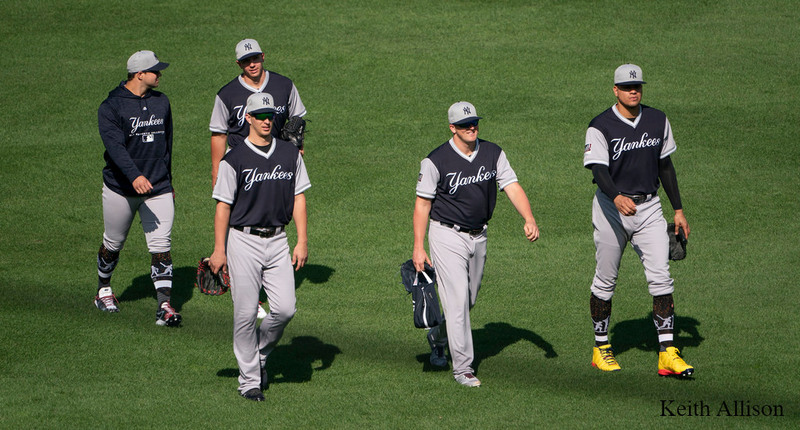 While the curtain closes on the 2018 New York Yankees, there is plenty of good to reminisce about. Moral of the story, they were very close to being a championship club, but being close just isn't enough.